. In-stock items ship same-day. Order by 7pm CT (6pm ET for our Harrisburg distribution center). Backordered items ship separately as soon as they become available. Click to add a free sample of this product to your cart. Free test samples take the guesswork out of finding products. Samples of this item cannot be requested online. Please call 800-926-6100 to request a free sample of this item. 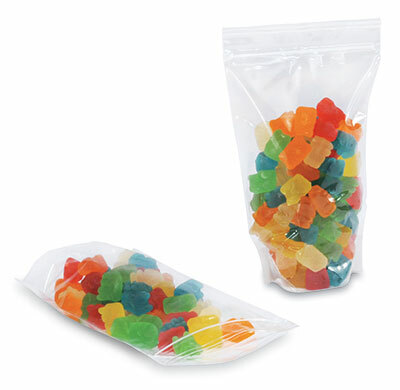 High-clarity bag with spot-welded zipper and side-weld construction is perfect for displaying food or other products. Bottom gusset allows bag to stand up easily. Meets FDA specifications for food contact. Usable dimensions are slightly smaller.